BFD Stanton Moore Cymbals is an expansion pack for BFD3, BFD Eco and BFD2 with stunning recordings of Bosphorus cymbals. As well as being a founder member of New Orleans funk band Galactic, Stanton Moore has worked with artists as diverse as Tom Morello, Robert Walter, Corrosion of Conformity and Joss Stone. 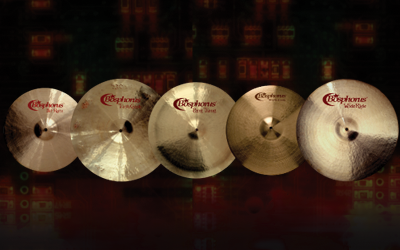 BFD Stanton Moore Cymbals brings the entire Bosphorus Stanton Moore signature cymbal range to your sessions - 4 crashes (with additional mallet versions), 2 rides and a hihat - all recorded in pristine detail by sampling guru John Emrich. An accompanying Groove Pack, Stanton Moore Grooves, is also available. 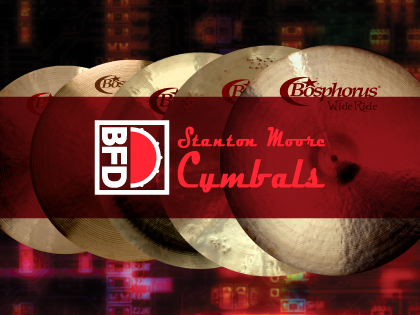 BFD Stanton Moore Cymbals is produced by Cymbal Masters.